Dexter Daily: Rewatching Dexter - 1.10 "Seeing Red", 1.11 "Truth Be Told", 1.12 "Born Free"
Rewatching Dexter - 1.10 "Seeing Red", 1.11 "Truth Be Told", 1.12 "Born Free"
Rewatching Dexter by DexterDaily. A look back at the past seasons of 'Dexter' and our favorite serial killer's victims. Today, we're going to remember episodes: 1.10 "Seeing Red", 1.11 "Truth Be Told" and 1.12 "Born Free". Hit the 'read more' button for more! Dexter's world is shaken when he is called to the crime scene of a massacre unlike any that he's ever seen before... or so he thinks, until a series of memories comes streaming back that shock him to his core. Meanwhile, Rita has to hire a lawyer when Paul brings a surprising case against her to take sole custody of their children. Batista follows a new lead on the Ice Truck Killer case that brings him one step closer to apprehending the sadistic serial killer. But does it bring him too close? The Ice Truck Killer strikes again, leaving a real nightmare before Christmas at Santa's Cottage. But this time, Dexter notices that the kill is not as 'tidy' as the previous kills, as if the Ice Truck Killer is rushing to leave Miami. 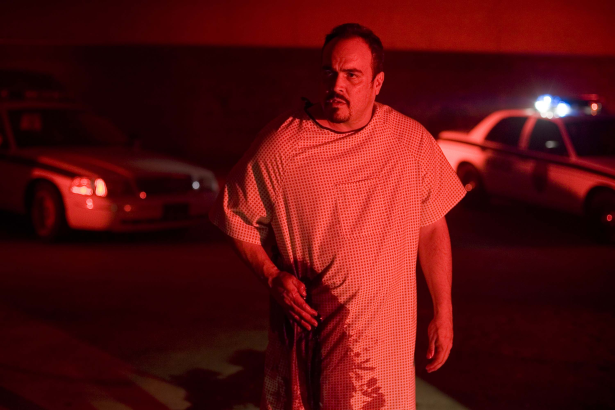 But in reality, the Ice Truck Killer has kidnapped someone very close to Dexter to lure him into a trap that will change Dexter's life forever. Meanwhile, Sgt. Doakes notices that Dexter has been acting strangely around the Homicide division, making him wonder if in fact, Dexter is the Ice Truck Killer. Dexter's loyalties are put to the test as he follows clues that the Ice Truck Killer leaves for him. But as Dexter goes on the hunt, he wonders just how deep he will have to go down the Ice Truck Killer's dark and demented path. Doakes, still thinking that Dexter may be the Ice Truck Killer, uses questionable methods to stop Dexter from his hunt for the Ice Truck Killer. Meanwhile, as Dexter remains unavailable to Rita, her ex-husband, Paul, tries to convince her that Dexter is a very dangerous man to have around their children. Dexter's Victim: Rudy Cooper - Brian Moser. The Big Bad of Season 1 - Neck slashed. Made to look like a suicide. No blood taken, no blood slide.